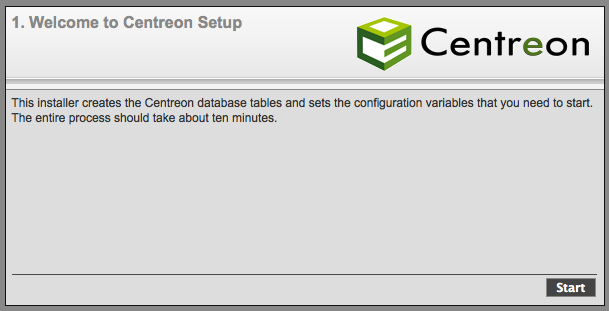 First of all add rpmforge repository to your yum to download centreon related rpms to your system as these rpms are not present in rhel6 dvd. Make sure your nagios is configured and ready and also nagios plugins installed. To install pre-requisites add RPM Forge repository. The installation script allows custom configuration, this procedure will show you the best paths to use. Also, the Yes/No prompt questions will result in [y] answers most of the time. 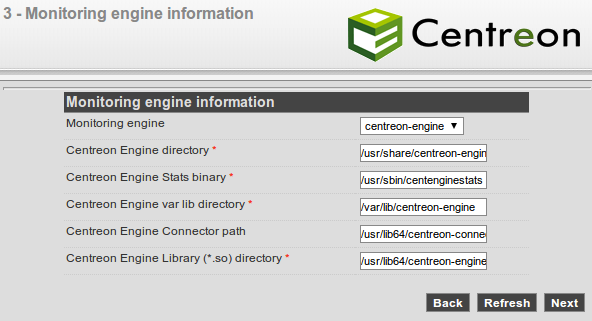 Where is your Centreon generation_files directory? 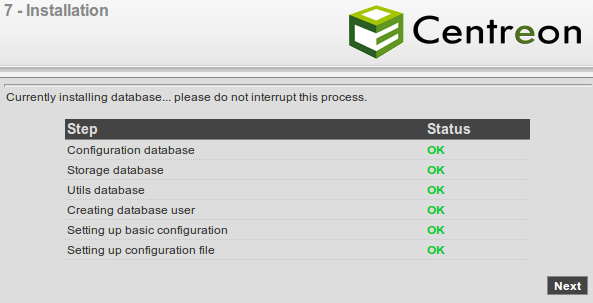 Make sure that your Apache and MySQL servers are up and running before going any further. Depending on the chosen monitoring engine, you will be asked to enter some specific parameters. Click on the Next button when all parameters are filled. 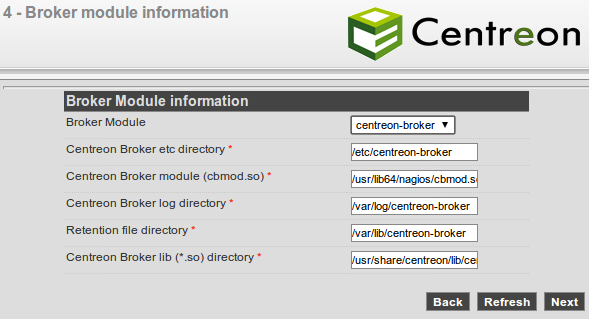 Select your event broker module. Depending on the chosen module, you will be asked to enter some specific parameters. Fill the form with your information. Make sure to remember your password as it will be used for logging in. Click on the Next button. 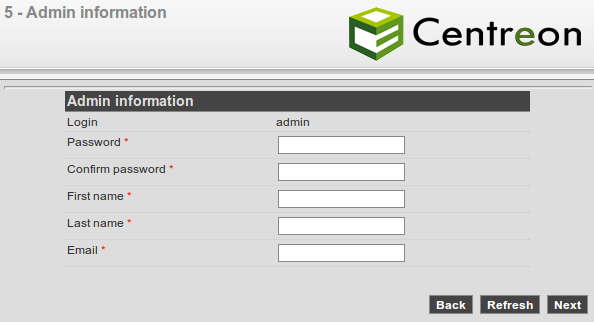 Fill the form with information regarding your database setup and credentials that will be used for connection. Click on the Next button. 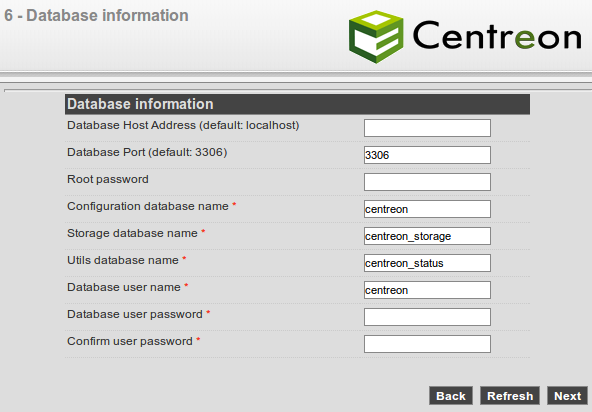 The database structure will be installed during this process. Everything should pass and display OK. Note: You can be asked to add the innodb_file_per_table=1 parameter in the MySQL configuration file. This entry was posted in Monitoring. Bookmark the permalink. U welcome Dude……….If you want posts on any particular topic in Linux/Vmware just drop me a mail at alexhunt86@live.com. I will try to upload that post.